Snickers Clothing helps you get noticed. 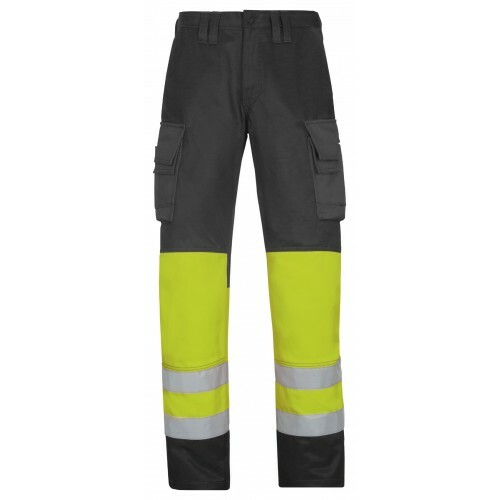 High visibility trousers in a contemporary design. Advanced cut for a perfect fit when you’re hard at work. Count on first-class protection and built-in functionality. EN 471, Class 1. 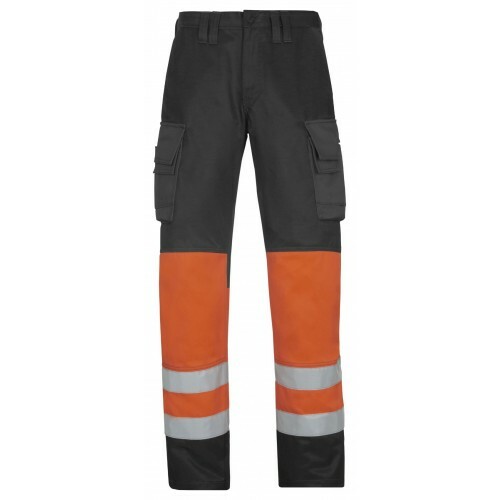 Snickers high visibility work trousers be seen be safe. Two easy-to-access leg cargo pockets with separate mobile phone compartments and four pen/tool compartments on each pocket. Leg pockets feature separate Velcro flaps for pocket and mobile phone compartment for easy opening and closing. Two spacious front and back pockets. Dark colour at knees and lower legs for a cleaner look (dirt won’t show).